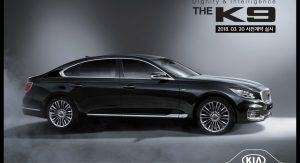 Kia’s 2019 K900 flagship is inching closer to its official unveiling after a brochure made its way online, depicting not just its looks, but also specs, engine range and pricing for the South Korean market. The visuals pretty much confirm what we already knew from previous spy images and various sketches. Compared to its predecessor, the all-new K900 will boast a more elegant exterior, with a lot of chrome inserts, front, rear and profile. Meanwhile, headlight and taillight graphics are very similar, the wheels feature a 10 twin-spoke design and the profile gains a design element similar in shape to a paddle – the BMW 7-Series is rocking one of those too, albeit more of a hockey stick. 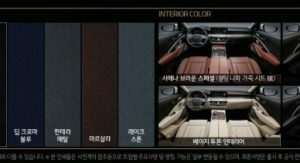 Korean customers will be able to order their K900 (K9 over there) with a choice of 7 exterior colors, ranging from white, silver, black, blue, brown and two shades of grey. Whether the same color palette reaches U.S. customers, remains to be seen. 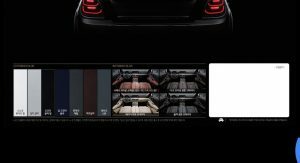 The interior design is just like it was in the sketches, with a quad-spoke multi-function steering wheel, a massive 12.3-inch touchscreen infotainment display (looks even bigger than we thought), and an overall minimalist interior layout, which you can get in multiple color combinations. 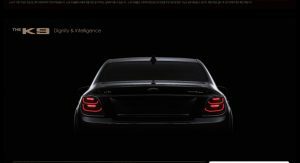 Three power units will be made available to the all-new K900, including a twin-turbo 3.3-liter V6 T-GDI engine, joined by a 3.8-liter GDi and the larger 5.0-liter V8. 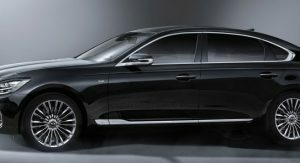 While the 2019 K900 will indeed come with an all-wheel drive system, it seems like you can only get it on one of the V6 variants. 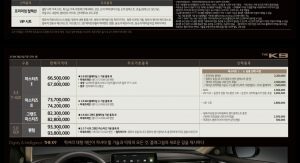 As for pricing, Korean customers will be able to buy the entry-level 3.8 GDi model from 54,900,000 Won ($51,057), whereas the flagship 5.0-liter V8 will set them back as much as 93,800,000 Won ($87,234). 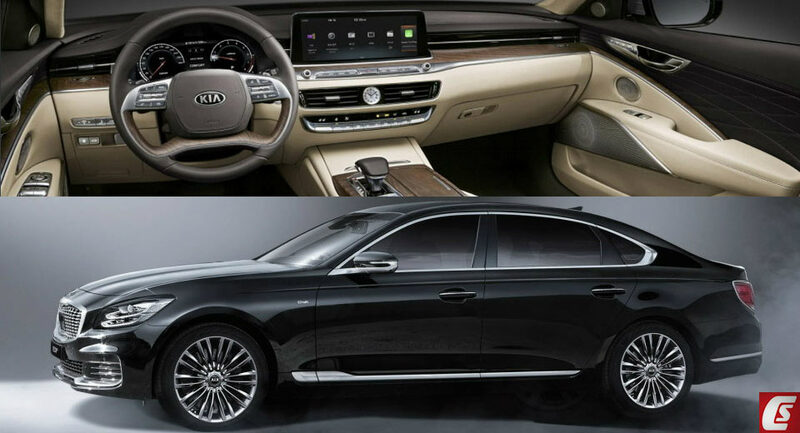 The 2019 Kia K900 is still on track for its debut at this year’s NY Auto Show, next week, with sales scheduled to commence anywhere between April and June (Q2) in select markets. Loving it! Exactly what a big sedan should be. KIA, I am impressed. I as well will need to see a full front face to make my final decision but I do love the profile. The lights looks more swept back in the profiled but head on they seem to bug eyed. i’ll be honest. the interior is definitely better than it’s predecessor. Sooo. Why should I buy a Genesis ? Oh well it worked for Lincoln/Metciry and Chrysler/Plymouth and well all of the GM brands. Just look at how poorly Rolls and Bentley have done since they split. Bentley and Rolls-Royce have posted record sales and worldwide growth since they split. It’s been said 100 times on this site already but WOW that exterior is dated. China will probably eat it up but I can’t imagine it selling in the US. They need 2 clocks, one on the screen and a uselessly redundant analogue one on the dash. 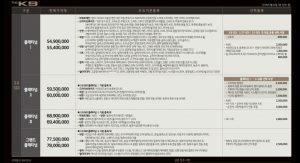 Starting price in Korea is still lower than 5 series. 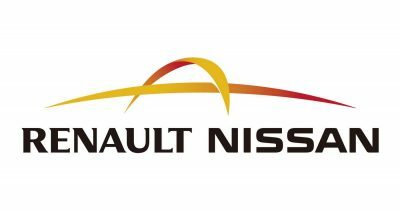 Will be an absolute hit if it targets the Lexus ES and Cadillac CT6/XTS in price, between 40-50,000. I dunno…brand cache is still a thing at that price point. 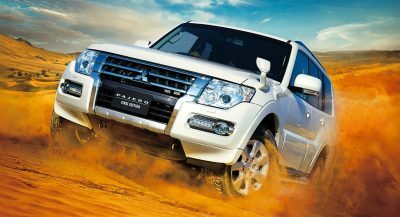 People who are not brand conscious don’t spend a ‘lot’ of money on luxury items especially cars, because it is seen as ostentatious. I think Genesis (and whatever KIA decides to eventually name its lux arm) will probably never crack that luxury segment until a significant shift occurs. 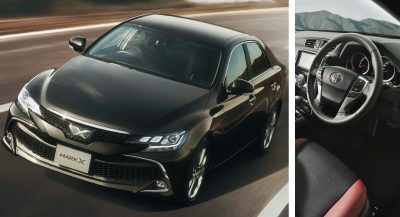 I think it’ll be successful at the 45-55k pricepoint because Lexus sells 50,000+ Lexus ES and Cadillac’s XTS and CT6 combine for 26,000 units a year at that pricepoint. If you go up market, selling only 300 of these a month or less than 4,000 a year, you’re going to struggle to break even and pay back the money you spent developing and producing the car in the first place. I get that. However, people who spend $45k to $55k will probably buy an off-lease CPO A8, 7 Series or S Class. You make a good point but I think it is going to be a hard sell like the Equus was. Lease deals will fix it. The Lexus ES loaded is $42k and is bought by loyalists by the way. Exterior and interior come across as very BMWish, but that’s not a bad thing. And the exterior is unique enough to still look like an upscale and premium Kia with their current styling cues. Not a bad effort at all. 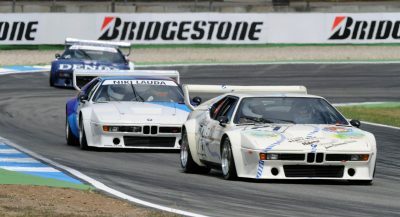 Probably a good car but lakes the pondus of the competitors, at best it can compete with e class level and company. It’s a Mercedes BMW with hints of Lexus and Audi. It might appeal to people who have been scared away by the look of the new LS. Many people will think its a BMW, when see its side profile from distance. I’m sure about that. the proportions are definitely appealing. when China takes over Daimler.